VATICAN CITY - It's a ritual as rich in tradition and symbolism as the Catholic Church can muster: secret oaths, hypnotic Gregorian chants, scarlet-decked cardinals filing through the Sistine Chapel — all while the public outside in St. Peter's Square watches for white smoke or black to learn if it has a new pope. Much of the ritual's current incarnation is the work of Archbishop Piero Marini. The Vatican's master of liturgical celebrations for two decades under Pope John Paul II, Marini organized the funeral rites for the late pontiff and the conclave that elected Pope Benedict XVI. 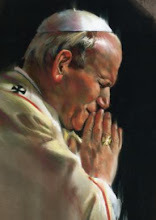 He was by Cardinal Joseph Ratzinger's side minutes after the election when the new pope uttered the words "I accept" — officially launching his papacy on April 19, 2005. "I still remember, with some emotion, the silence that there was — the participation of the cardinals," Marini recalled in an interview in his Vatican offices. "It was an event that had been prepared with great care." Next month's conclave to elect the 266th leader of the world's billion Catholics will have all the grand trappings of papal elections past — with the added twist that this time around the current pope is still alive. Benedict's resignation, the first papal abdication in 600 years, has caused chaos in the Vatican: Nobody knows for sure what he'll be called much less what he'll wear after Feb. 28. But one thing is clear: The rules and rituals to elect his successor will follow Marini's "bible" of how to run a conclave — a dense tome of footnoted decrees, floor-plans, directions and photos. The book will serve as a guide when 117 cardinals gather in the Sistine Chapel to elect Benedict's successor. The Vatican said Saturday that the Holy See in the coming days or weeks would publish an update to the main apostolic constitution that guides the papal transition with some ceremonial tweaks, perhaps taking into account the influence of Benedict's more tradition-minded master of liturgical ceremonies who replaced Marini in 2007. But the fundamentals will likely remain. 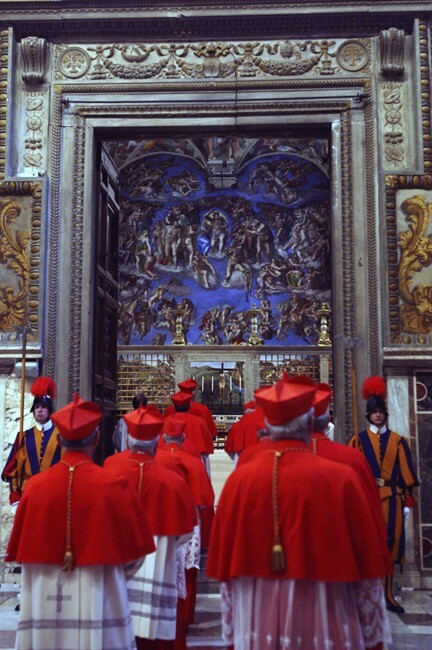 The conclave begins with the cardinals in their red cassocks filing into the Sistine Chapel, chanting the monophonic Litany of Saints followed by another sacred song, Veni, Creator Spiritus, imploring the intervention of the saints and Holy Spirit as they take their places before Michelangelo's "Last Judgment." The cardinals place their hand on the Gospel and promise to observe absolute secrecy both during and after the conclave, and to "never lend support or favour to any interference, opposition or any other form of intervention ... in the election of the Roman Pontiff." While the Vatican is notoriously obsessed with secrecy, there are actually good historical reasons why conclave proceedings are kept quiet and why cardinals promise to vote independently, said Monsignor Robert Wister, professor of church history at Seton Hall University in New Jersey. Up until the early 20th century, papal elections could be vetoed by the kings of France, Spain or the Holy Roman Emperor, Wister noted. The power was rarely invoked but was used in the 1903 conclave to replace Pope Leo XII. Leo's No. 2, the Vatican's secretary of state, was in the lead when his election was blocked by Austrian Emperor Francis Joseph. The eventual winner, Giuseppe Melchiorre Sarto, took the name Pius X — and promptly abolished the veto power. Still, the memory of outside intervention has continued to weigh over the College of Cardinals, leading them to be sequestered until they have a pope. Now they have a Vatican hotel to stay in while not voting, but are forbidden from having any contact with the outside world: no phones, no newspapers, no tweeting. "There is that fear," Wister said. "Going back previous centuries, kings did interfere, sometimes with an army." Secrecy under penalty of excommunication also ensures that the winner doesn't know who among his cardinals voted against him — an important element going forward to keep the church's top leadership unified. "It's not the Renaissance where he'd be poisoned, but it's a matter of human respect," Wister said. Once the final oath is taken, the master of liturgical ceremonies gives the order "Extra omnes" (everyone out) and all those not taking part in the conclave leave the frescoed walls of the chapel. An elderly cardinal, over age 80 and thus ineligible to participate, remains and reads a meditation about the qualities a pope should have and the challenges facing the church, after which he and the master of ceremonies leave the cardinals to begin voting. On Day 1, only one round of balloting is taken; after that cardinals cast two votes in the morning, two in the afternoon until they have a victor. A two-thirds majority is necessary. Each cardinal writes his choice on a paper inscribed with the words "Eligo in summen pontificem," or "I elect as Supreme Pontiff." They approach the altar one by one and say: "I call as my witness, Christ the Lord who will be my judge, that my vote is given to the one who, before God, I think should be elected." The folded ballot is placed on a round plate and slid into an oval urn. After the votes are counted and the outcomes announced, the papers are bound together with a needle and thread, each ballot pierced through the word "Eligo." Then they are burned with a chemical to send black smoke (meaning no) or white (meaning yes) out of the Sistine Chapel's chimney. On April 19, 2005, a stunned Ratzinger accepted the charge and was brought into a side room to change into the white vestments of the papacy. Off came the scarlet cassock; underneath was the simpler black clerical garb of a cardinal. "Naturally the pope couldn't change completely at that moment, so he went out with those black sleeves — we could see his sweater!" Marini recalled. "But even that was a human gesture of how he was dressed as a cardinal." Marini accompanied Ratzinger out onto the loggia of the basilica overlooking St. Peter's Square where a cardinal announced "Habemus Papam" (We have a pope) to the thousands of people below. The cardinal announced Ratzinger's name in Latin, and then Benedict uttered his first public words as pope, saying he was but a "simple, humble worker in the vineyard of the Lord." Marini noted that that first encounter of the new pope with his flock traces its history to the ancient tradition that the bishop of Rome is elected by the people. "This appearance by the pope on the balcony, the applause and cheers of joy that erupt when he comes out," he said, "in some way represents the Roman people accepting their pope." It's one of the potent symbols of a tradition-drenched conclave. "A religion relies on its customs and practices," said Monsignor Kevin Irwin, former dean of theology at Catholic University of America and professor of liturgy. "This is not like putting up posters and getting a poll of who is winning. This is an act of God."